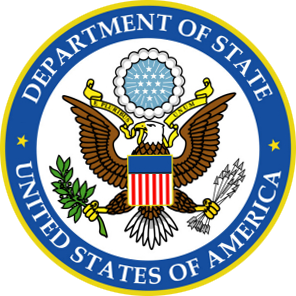 The U.S. Chamber of Commerce Foundation and the U.S. Department of State will convene the eighth International Women’s Day Forum, Partner With Purpose: Business for Gender Equality. The event will gather the business community, civil society, and government representatives to advance women’s empowerment around the globe. Achieving full gender equality means overcoming a host of complex issues, including institutional and societal barriers that prevent progress. Tackling these challenges requires creativity and innovation from across sectors. This year’s forum will focus on how private and public stakeholders can combine their resources, skills, and expertise for greater sustainability and impact. Equality is within reach, but it can only be realized through collaboration. We look forward to seeing you at our event in March. For any questions, please contact Natalie Masri. This event has ended. A webcast archive of the two-day event is below. For future events similar to this, go to uschamberfoundation.org/events. Related event webcasts can be found at http://videos.uschamberfoundation.org/category/videos/corporate-citizenship-center. When women earn, everyone benefits. Yet women are still underrepresented in workforces around the world. What programs and initiatives can support more integration of women in the global economy? Access to and control over economic and financial resources are critical to reducing women᾿s vulnerability in the face of economic risk. This is especially true for women entrepreneurs and the success of their businesses. This session will explore how we can expand women᾿s access to and use of financial services so that they and their communities can reach their full economic potential. Despite technical advances and access to medical care, gender inequality continues to pose a large threat to positive health outcomes and behaviors. This session will explore global alliances and best practices that improve health outcomes for women and girls. Ann Katsiak, Vice President, Economic Engagement and Private Sector Development, Nathan Associates Inc.
As producers, workers, distributors, managers, and more—women are an essential part of the global value chain. This session will explore business strategies for increasing gender diversity in supply chains. It will also explore how these programs have expanded to include women’s personal and professional well-being in different economies. Join us for a networking luncheon. Attendees will have the option of participating in small group discussions on organized topics, led by plenary speakers and other experts. While women represent 48% of the total US workforce, they currently hold just 24% of STEM jobs nationwide. For many years, attempts to explain the discrepancy have emphasized social and personal obstacles, such as discrimination and isolation, that women face when they enter or try to advance in male-dominated fields. But the Journal of Psychological Science published research suggesting that it isn't just that young women give up or are excluded from studying science, but instead many opt out because they see STEM careers as 'inhibiting communal goals'. Drawing on Discovery Education's insights as the leading provider of digital content in K-12 classrooms nationwide, this conversation will explore how connecting STEM learning to societal impact can engage, inspire and empower our next generation of women leaders. CIPE's Director for Women's Economic Empowerment will explore the cycle of women's economic and political empowerment. How can women who have had economic success achieve positions of political influence? How can we support women with political influence to enact measures to empower more women economically? Participants will identify at least three main action items during the discussion that could be worked on jointly. Is Your Company Driving Gender Equality in Your Own Advertising? Companies invest significantly in marketing and advertising and can also advance gender equality in this part of their supply chain. A number of recent initiatives across several industries are accelerating and you're invited to learn more about what P&G and others are doing to create better marketing communications and drive progress toward economic equality for women. What does it mean when close to a billion women in the world aren't “connected"? It means that their opportunities for socioeconomic growth are stunted, while others learn to leverage the power of the internet to learn, get critical health information, participate in e-government initiatives, and grow their networks for diversity and resilience. Several studies have correlated higher internet penetration with higher GDP – but women's lack of access to the internet only creates additional gaps – digital, economic, and societal. Thousands of efforts worldwide have done little to move the needle. Find out why they haven't worked, and how we need to approach this issue with a more comprehensive approach. Your ideas, experiences, and feedback are most welcome as we finalize program details. Measuring impact is the first step in improving impact. We will explore how to help build more gender inclusive and impactful businesses by talking to customers and staff directly and providing data on social performance, feedback, and behavior in a dynamic, fast, and efficient way. In this discussion, members from the Ipsos and GETF teams will lead a conversation on measuring women's empowerment, including an analysis of the ripple effect between water access and women's empowerment. Drawing from their experience working with USAID and Coca-Cola through the Water and Development Alliance (WADA), Mondelez International, Vital Voices, and others, Ipsos and GETF will highlight their own findings and facilitate a discussion around best practices for cross-sectoral measurement of women's empowerment. Discuss the various business certifications available, the value of business certification and how to leverage the certification network to increase contracting opportunities in Corporate and Government entity supply chains. Plan International USA and the PIMCO Foundation's proposed discussion will center on the 'promise of the private sector' as a leader in the space of women's empowerment, leadership, confidence and capacity development. We will touch upon differences between male and female leadership and management characteristics and traits across various professions and positions and how these characteristics impact the performance of businesses and individual women's professional achievements as well as the correlation between success and confidence. In hopes of a forward-looking dialogue, Plan and the PIMCO Foundation propose to engage the group to solicit ideas, approaches and best practices for interventions that build women's confidence and leadership skills drawing from discussants' experiences with corporate and donor investments in these areas—what works. These include internal leadership programs targeting female employees with the goal of growing the number of women in middle and senior management, and programs for women beneficiaries and partners of corporate-sponsored programs in developing countries and the U.S. Working in a global environment requires transparency. How do we foster a culture that allows us to bring our authentic selves to work as females, especially when this can be seen as a sign of weakness? This discussion will enable us to focus on ways that we can empower women especially in Latin American countries. The discussion will include the impact that can be found through the use of a personal story with specific insights as a result of being a leader in the Latin American marketplace and growing Hispanic population in the US. Why is less than 5% of the artwork in permanent collections in the world is made by women? This discussion will be an examination of the underrepresentation of women artists in permanent collections, why that is the case, and how female artists are working to drastically change this paradigm. We will discuss the disparity in the value of collectible artwork by men versus women, and the unique challenges female artists face not only as creators, but as business owners. Dominique Fierro, Superfierce Artist. Photographer. Activist. The jobs or promotions in which women want are increasingly attainable, however, how women approach these pivots in life will determine our rise in the workforce and furthermore how we are compensated for it. The art of negotiation means that you know your value and your not afraid to ask for it, you have something they want and we need to be strategic when we try to go for it. Come and join this group for a robust discussion around how to pivot your career and how not to be afraid to shoot for the stars when asking for what you want. How Public-Private Partnerships Can Create Value for Women Entrepreneurs? Thunderbird School of Global Management's Kellie Kreiser leads a conversation about how cross-sector collaboration can create valuable tools and resources for women entrepreneurs. Partnerships between corporations, non-profits and governments have led to the development of training, investing, and mentoring programs that have changed the lives of women small business owners around the world. We'll discuss how these partnerships begin and what factors make them successful. What are Governments Around the Globe Doing to Create an Enabling Environment for Women and Integrating Gender? MCC invests in some of the world's poorest countries and recognizes that gender and social inclusion is essential to succeed in its mission of achieving poverty reduction through economic growth. Since its inception, MCC has provided more than $12 billion in assistance to 29 countries with an expected benefit to 175 million people. Join MCC's Deputy Vice President for a discussion on how MCC supports governments around the globe to create an enabling environment for women and integrating gender. We are actively seeking your ideas on how we can maximize our impact through partnerships with organizations with a shared vision. The U.S.-India Business Council's Vice President and Legal Policy Counsel will discuss efforts to empower women within the dynamic and rapidly expanding India economy. How can efforts to prioritize women's inclusion contribute to economic growth? What role should Government of India initiatives play in supporting women's entrepreneurship? Join this group for a robust discussion on how U.S. and multinational companies can engage on issues of women's economic and financial inclusion in India. Automation is rapidly transforming the jobs of tomorrow and employment opportunities for women. If current gender ratios remain constant, it is predicted that for every 20 jobs lost to automation, 5 men and just 1 woman would be hired to fill the open STEM job. How do we ensure that women and girls do not miss out on the jobs of the future? Digital technology can be a powerful tool to empower women and improve socioeconomic and health outcomes. Approximately 200 million fewer women than men own a mobile phone—the most prevalent means of access to the internet in developing countries. This session will explore why barriers to technology penetration and adoption disproportionately impact women, examine solutions such as digital skills and literacy, and discuss new ways of delivering technical services to women. This panel will address what᾿s working and what᾿s not as companies apply a gender lens to their businesses. Speakers will explore how diversity and inclusion influence business outcomes both across different markets and around the world. The world is in the midst of the worst refugee crisis in history—with more than 66 million refugees in the world, half of which are women and girls. This interview will focus on how businesses and communities can empower those fleeing their homes in search of a better future—with a specific focus on moving beyond humanitarian. Meet your peers and potential partners during our networking reception on March 6. The reception will also showcase work from local women-owned businesses, such as Republic Restoratives and Denizens Brewing Co., and artists featured in SUPERFIERCE. Women and girls still do not have an equal opportunity to access education and training opportunities. This hinders the growth, competitiveness, and future readiness of economies and businesses worldwide. This panel will discuss how businesses can ally with like-minded organizations and impact locally and scale globally to promote education for women and girls. Access to capital remains the biggest obstacle to the growth of women-owned small and medium-sized enterprises. Women entrepreneurs only receive about 3% of venture capital funding. What will it take to level the playing field? How can we ensure that women investors are able to build wealth and capital? The number of women in science and engineering is growing—and in some scientific disciplines, reaching parity. However, as technical STEM professions grow in increasing importance to the changing workplace, it is imperative that women receive equal opportunities to pursue and succeed in STEM careers. During this discussion, we will hear from companies accelerated the participation of women and girls in science, technology and innovation fields by changing narrative around what it means to have a STEM careers and be a woman in STEM.